What is the difference between Reconditioning and Recertification? A football helmet comes off a 17-year-old’s head after the last game of the season, travels to a reconditioning facility with other helmets in a large bag, and waits in a dark warehouse for its turn for rebirth. There are 23 members of the National Athletic Equipment Reconditioning Association (NAERA). NAERA-member companies are authorized to recondition and recertify helmets according to standards set by The National Operating Committee on Standards for Athletic Equipment (NOCSAE). Depending on local or state law, and manufacturer specifications, the interval of recertification or sanitization may vary. When you send a football helmet off to be recertified, what you should expect a company to do is to clean, dismantle, and inspect—then replace anything that needs replacing. Some companies use what amounts to large dishwasher-like contraptions to clean the helmet shells and components. Others opt to sort-of power wash it. All, then, based on testing performance and inspection, recertify the helmet’s performance or discard it, and place their recertification label on the helmet. Though every helmet should be cared for during the season, with regular washing and inspection according to the manufacturer, specific and certified reconditioning should be done by a NAERA member company. Reconditioning a football helmet is different than recertifying a football helmet. It is important to know the difference—and important to confirm both processes will be completed. Reconditioning includes taking the helmets completely apart, inspecting them, cleaning them, and putting them back together after replacing any parts that are needed. Recertification includes the drop test and other certification tests. 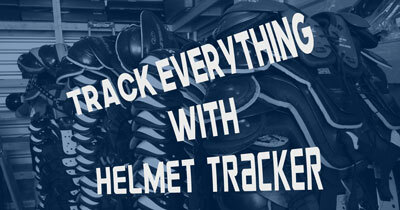 Most reconditioners consider the cleaning, inspection, and rebuilding of each a helmet vital to its performance.